Sally Gutiérrez (Madrid, 1965). After earning a BA in Fine Arts at the Universidad Complutense de Madrid, she worked in Berlin and New York, where she took an MA in Media Studies at the New School University, and participated in the Whitney Independent Study Program, as well as completing a residency at the Lower Manhattan Cultural Council at the Twin Towers. She currently teaches at the Universidad Europea de Madrid, and forms part of both the Declinación Magnética art collective and the Península research group. 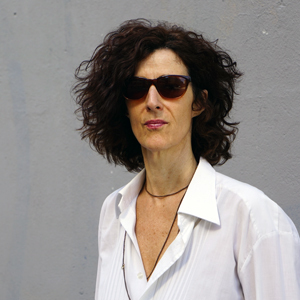 Her work has appeared in museums and galleries including Metamatic: Taf (Athens), Matadero, Museo Nacional Reina Sofía, La Casa Encendida and Formato Cómodo (Madrid), MACBA (Barcelona), Jeu de Paume (Paris), Kunstwerke, Akademie de Künste (Berlin), and the Parker’s Box, WhiteBox and PS1 galleries in New York. Ta acorda ba tu el Filipinas? is a film about the footprints and the ghosts of globalization past and present. The plurality and complexity of language – not merely in a verbal sense but as an arena for political and aesthetic forces – is both the object and connecting strand of a non-linear narrative, interweaving silences and conversations between members of diverse linguistic groups: from the Spanish-speaking minority in Manila, which conserves the language left over from the colonial period, to the inhabitants of Zamboanga who speak Chabacano, a syncretic Creole language that is a mix of Spanish and Malay (as used in the title of the film). In Ta acorda ba tu el Filipinas?, words (the story told in Chabacano, Spanish, English, etc.) are followed by sounds (the bells, the muezzin, the spoon) then actions (worship, dancing, hands at work). Because in the film “Language”, as a historical, political institution, is a synonym for historical humiliation. This is a film about the systematic devastation of a human collective through their subjection to Language to a point where human acts and sounds come to communicate more than the spoken word. As if only this regression – from language to sound and from sound to gesture – could legitimately serve as a kind of silent revolution. […] The street embroiderer who stitches its title can only stitch the film’s argument at the very end, as if the language of the Philippines, in the fury of its historical, political and territorial demolition, was no longer pronounceable but only inscribable…; as if this regression was natural in the streets of Manila and Zamboanga.